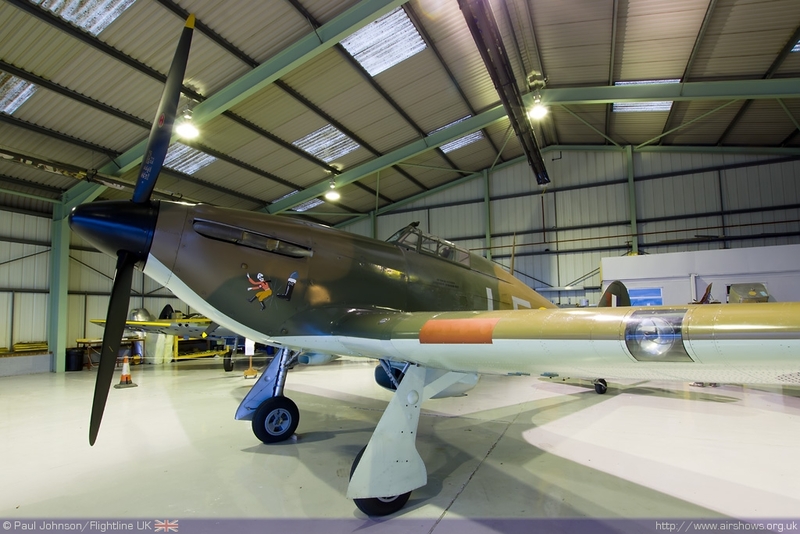 The Biggin Hill Heritage Hangar is one of the newest warbird collections in the UK, but has rapidly grown into to one of the most significant. 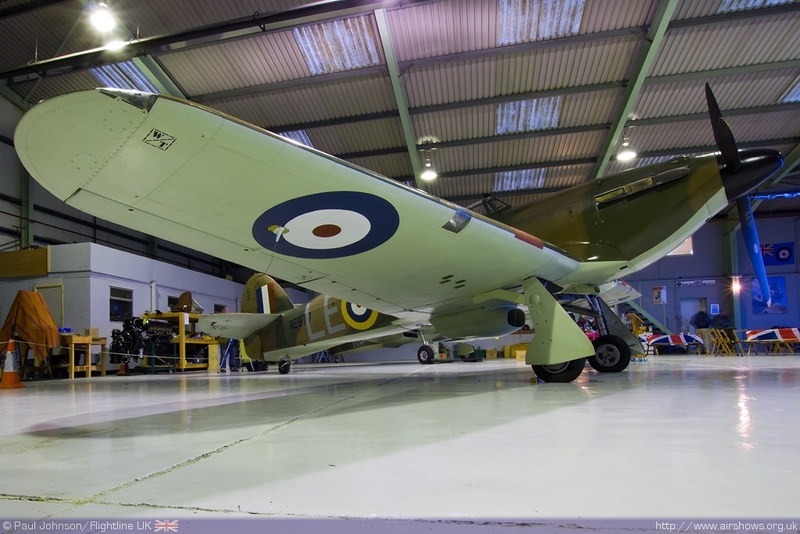 The historic fighter station at Biggin Hill provides the perfect surrounding for the operation and restoration of Supermarine Spitfires and a Hawker Hurricane and BHHH has regularly featured in the local and national news reuniting veterans with the types they flew and fought in 70 years ago. BHHH holds regular open days throughout the year as well participating at other events across the south of England. 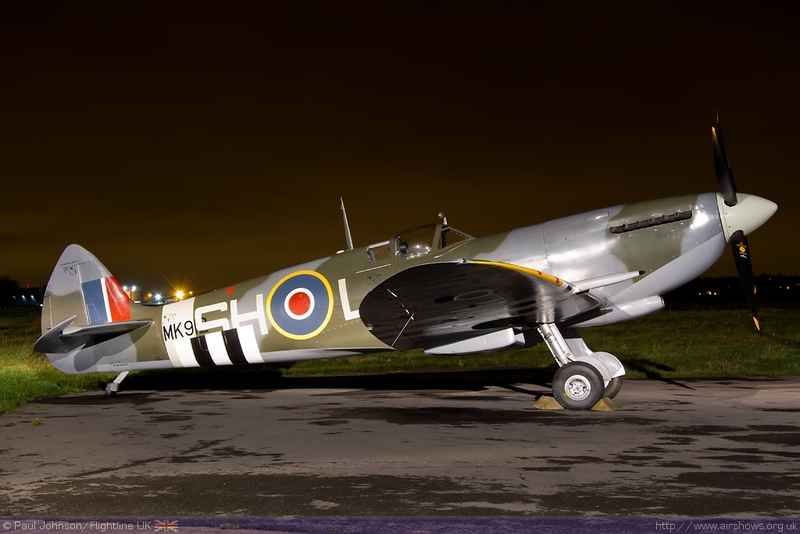 Mid-November saw the organisation hold a night-shoot outside its Biggin Hill base. 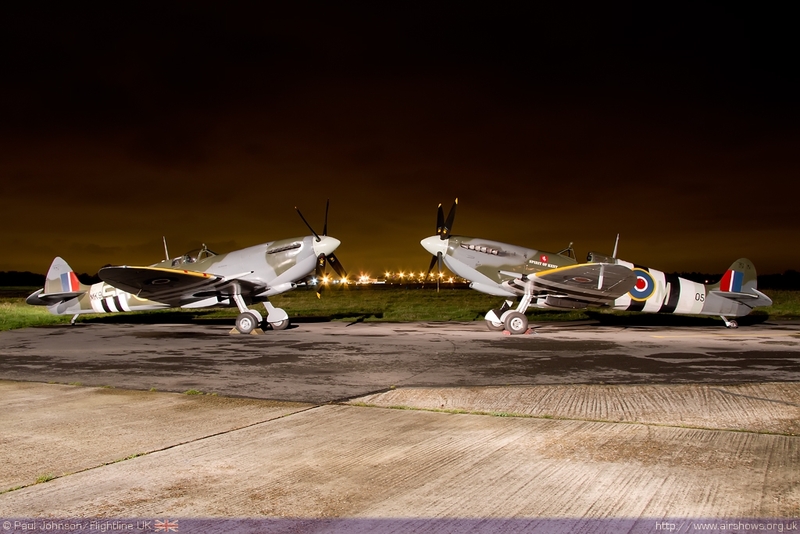 There are few more iconic airfields in the UK than Biggin Hill. 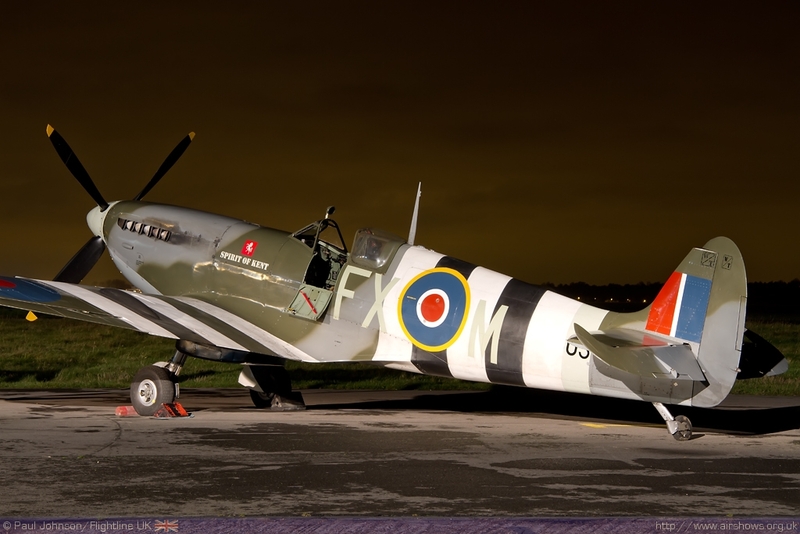 It was the most famous of the Battle of Britain Airfields protecting London to the north. The airfield later became synonymous with airshows playing host to the world famous International Air Fair which was held right up to 2010. 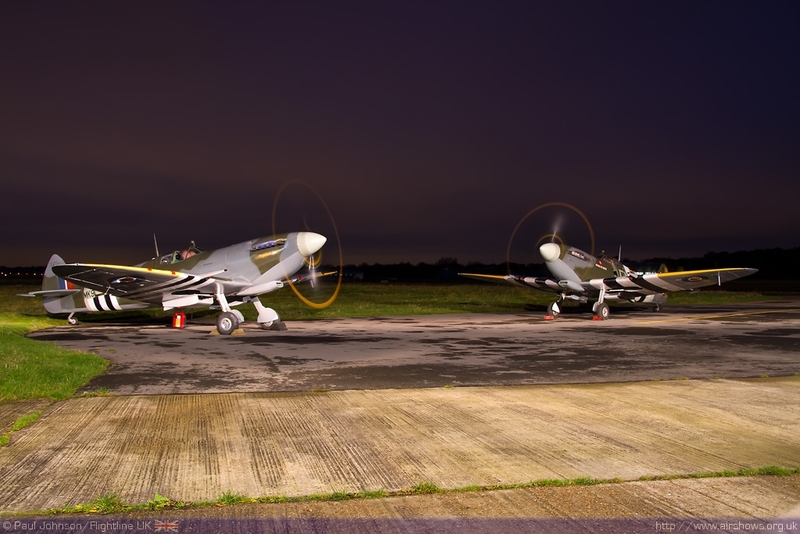 One day hopefully Biggin Hill will host major airshows again, but for now the only public events are the Biggin Hill Heritage Hangar’s own open days. 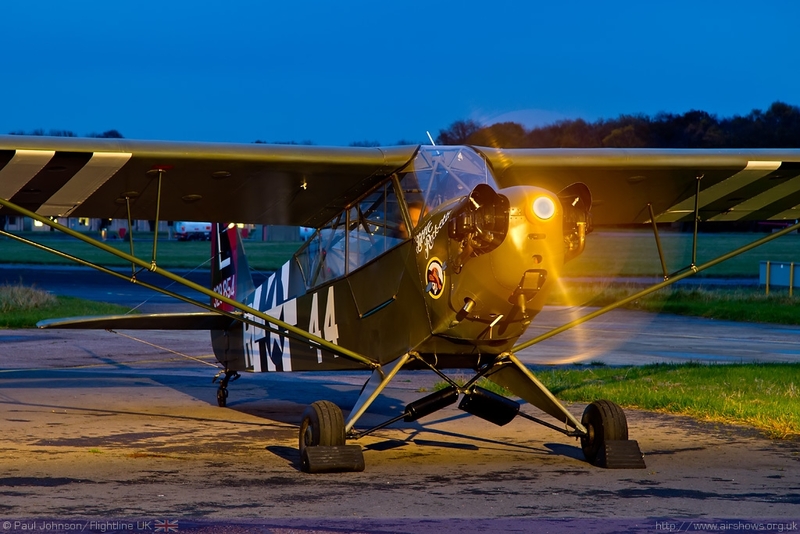 BHHH was set up in 2011 with the founding aircraft being Supermarine Spitfire IX TA805 ‘The Spirit of Kent’ alongside a Piper L4 Cub and a North American Harvard. 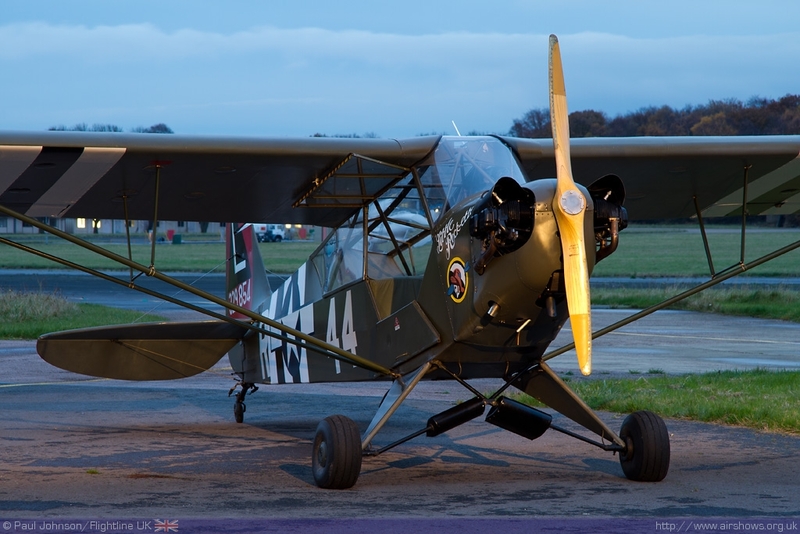 TA805 has been a regular airshow participant for the past few years in the hands of Clive Denney and Dan Griffiths. 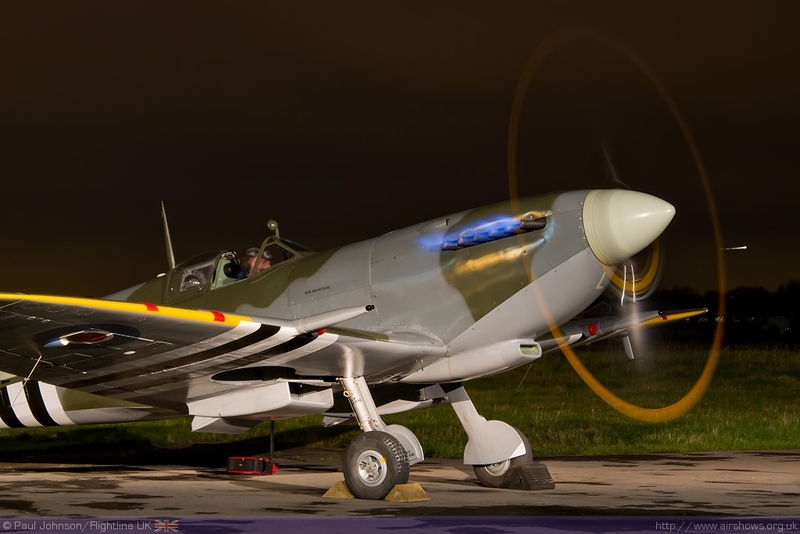 However the Spitfire population at Biggin Hill has grown significantly over the past year with both airworthy aircraft and restoration projects. 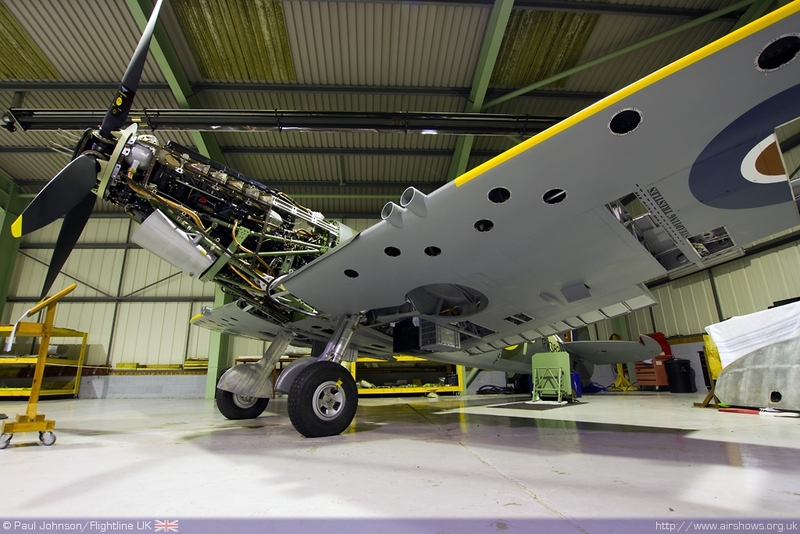 Joining the airworthy fleet was Spitfire IX MK912 which was restored in the UK, but was most recently based in Canada with Ed Russell’s collection. 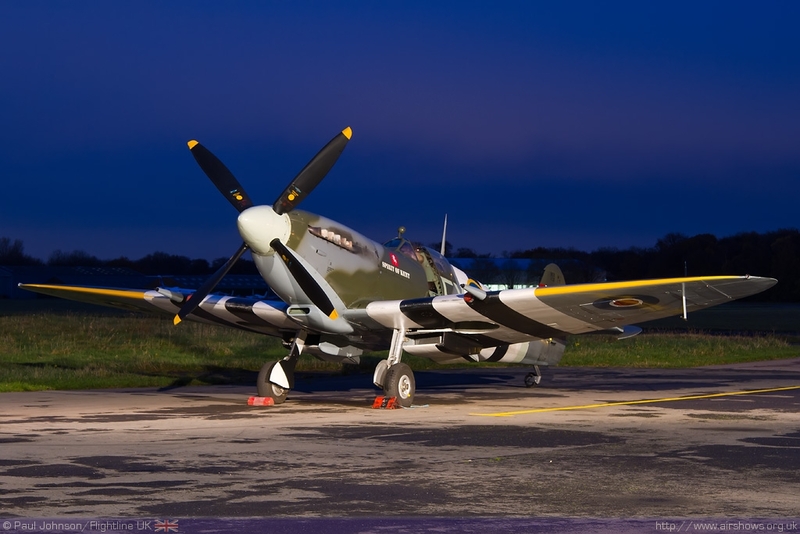 It returned in 2011 to join BHHH was first seen in public at the Biggin Hill Open Day and Goodwood Revival in September 2011. 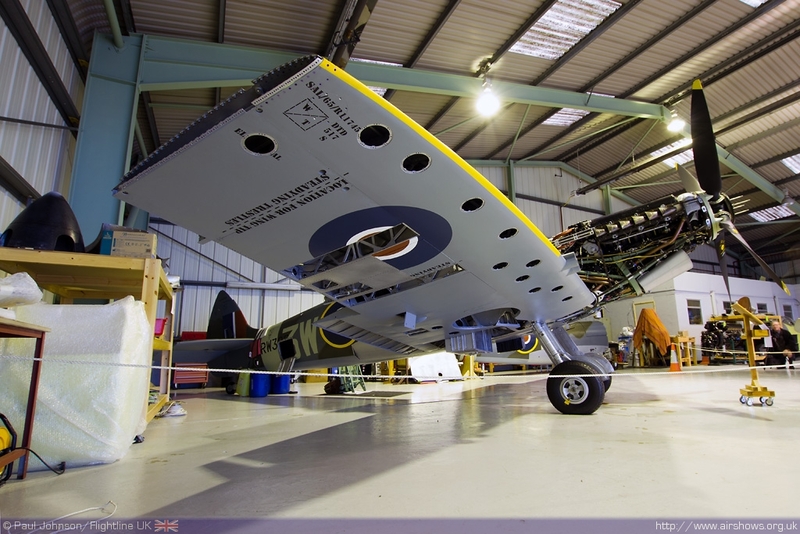 Alongside the airworthy aircraft, BHHH also has a number of restoration projects. 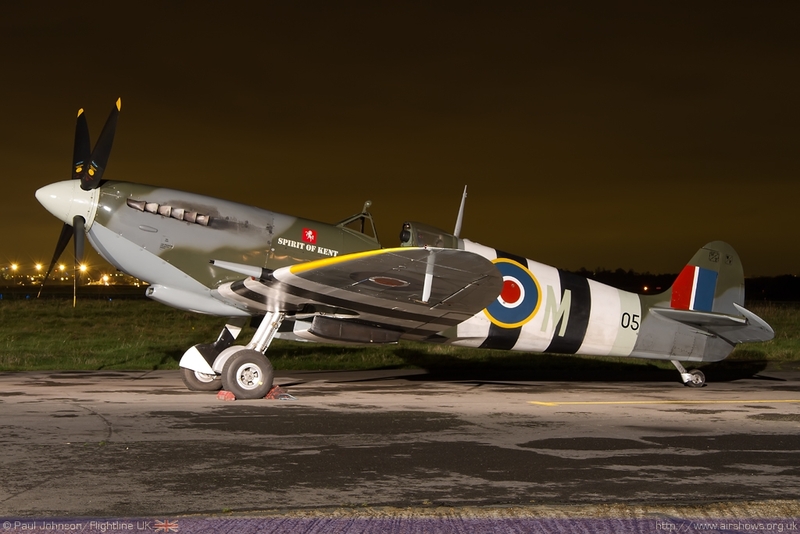 Most complete at the time of the Nightshoot was Supermarine Spitfire XVI RW382 which was sitting on its own undercarriage with various access panels removed and the Merlin powerplant exposed. 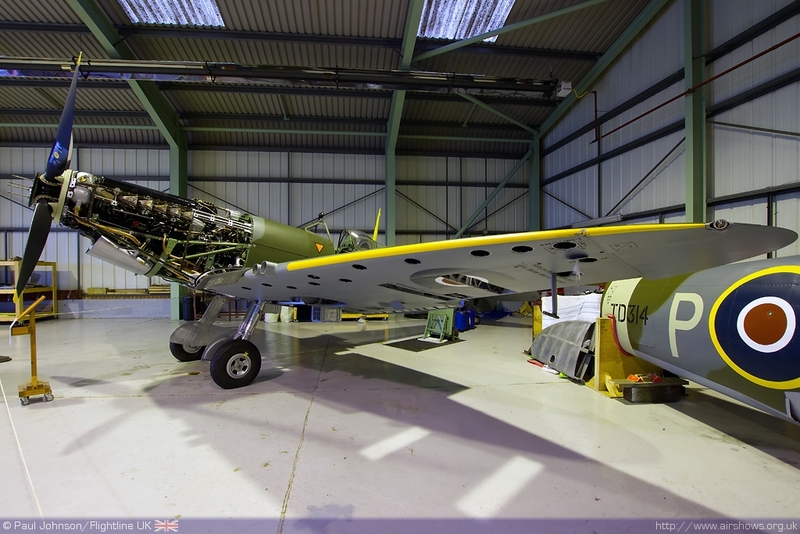 BHHH has two further Spitfire projects with the hulls of Spitfire IXs TD314 and LZ842 undergoing restoration. 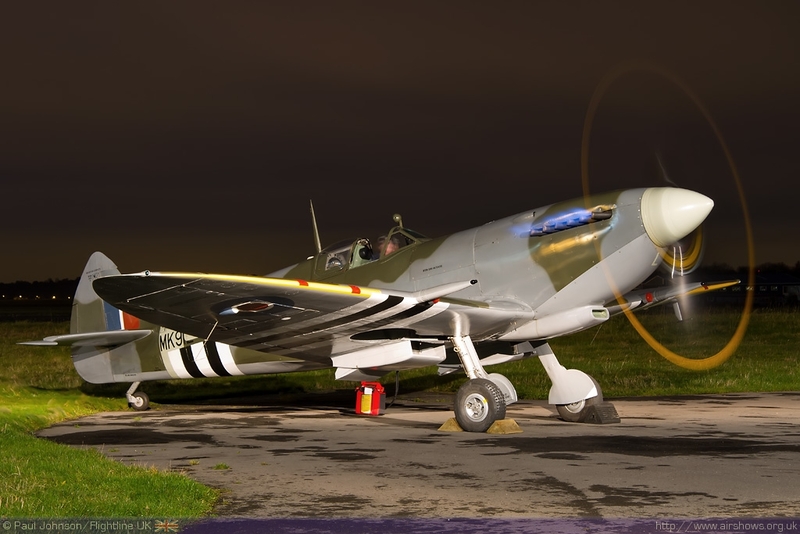 There is a further Spitfire at Biggin Hill with the Spitfire Ia X4650 owned by Tom and Dan Friedkin residing with the BHHH fleet. 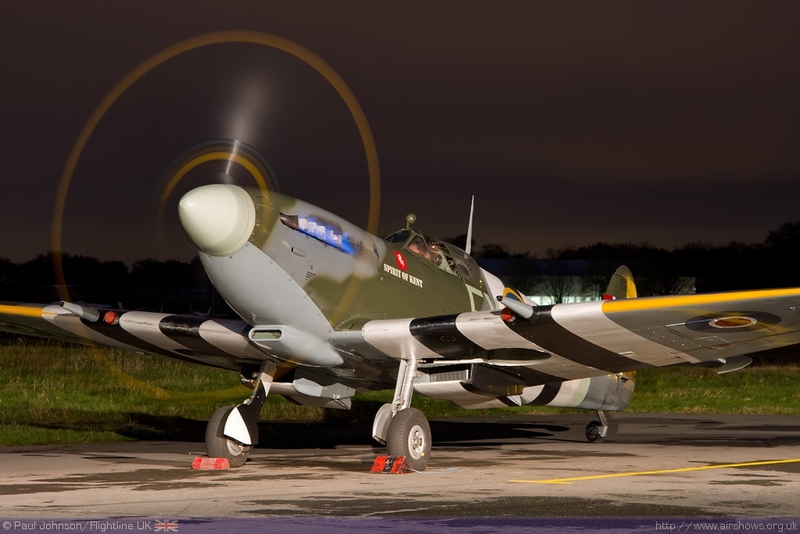 A new shape amongst the Spitfires is Hawker Sea Hurricane AE977 which is another returnee from the US and recently took part in a Remembrance Day flypast over the airfield. The format of BHHH’s Nightshoot was very familiar to those that have attended others with the vent starting as the sun started to sink below the horizon. Poor weather had been originally forecast for the day, but fortunately the worst of it missed the South East of England until much later in the night. There was plenty of opportunity to get shots of the aircraft in the hangar and out on the apron. 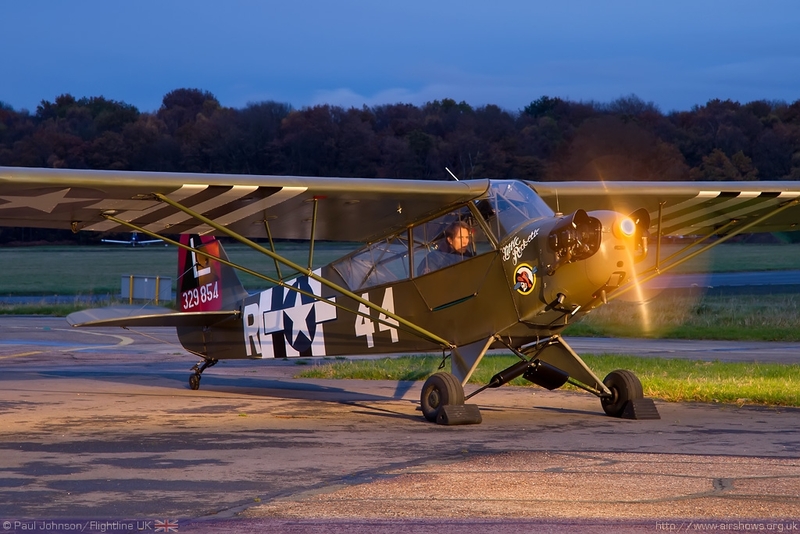 As the grey sky darkened, a number of aircraft ran their engines starting off with the Piper L4 Cub. Both TA805 and MK912 ran their engine together allowing for some unique shots of two aircraft running together as well as on their own. 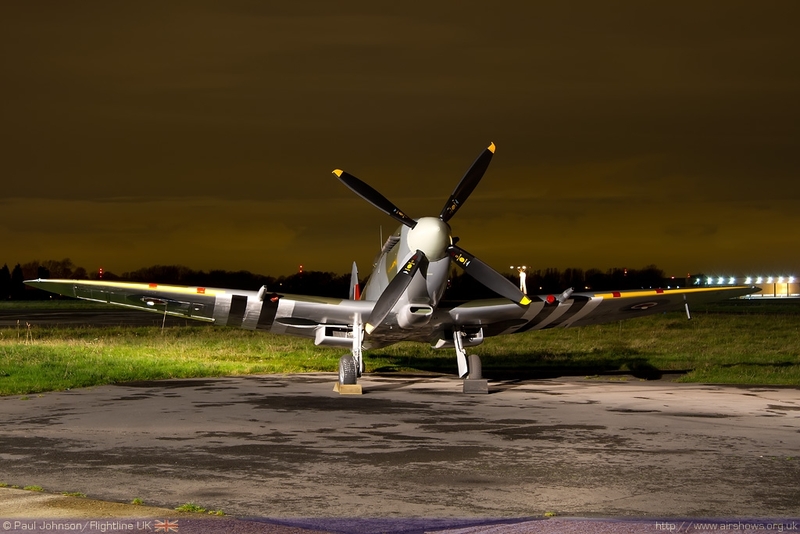 High power piston engine produce some striking blue flames in low light and both aircraft displayed these well under the hangar floodlights. Closing the series of Engine runs was the Harvard which produced an enormous amount of smoke too!!! A very nice touch to the event was some Fish and Chips and refreshments providing some much needed warmth on a cool November evening before a final chance to get some images. 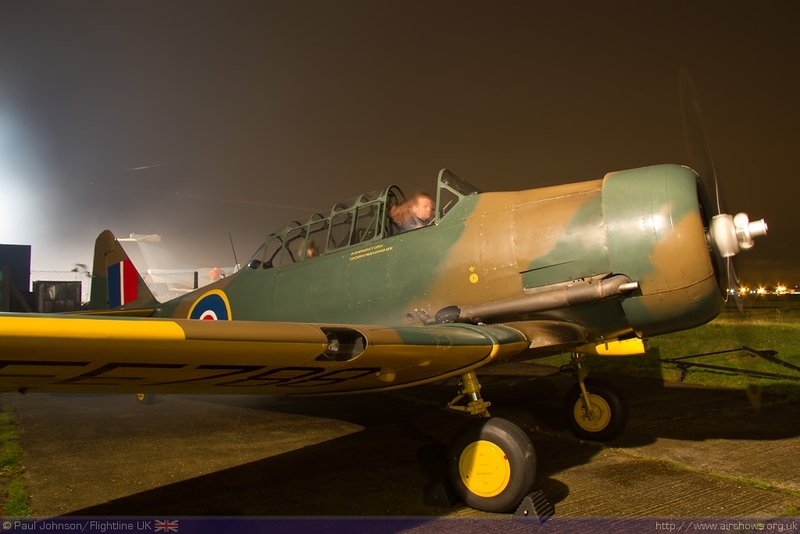 BHHH certainly gave photographers a great opportunity to photograph their wonderful collection of aircraft in friendly surrounding. 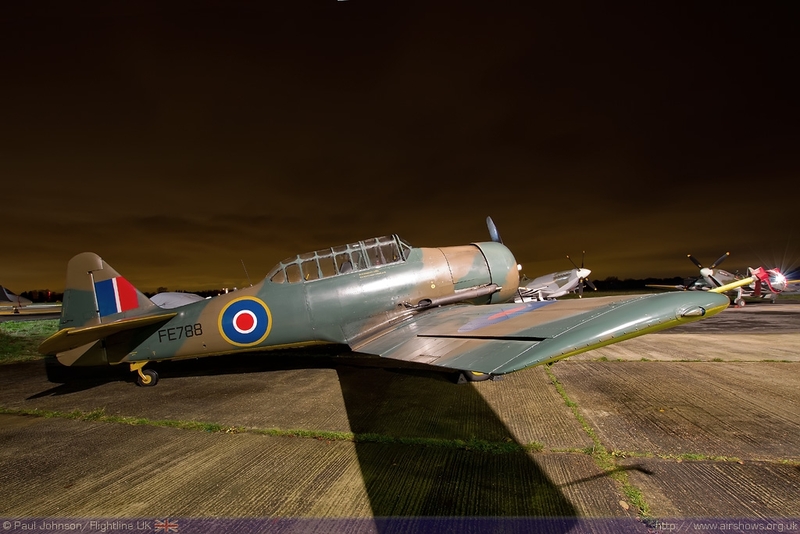 Biggin Hill Heritage Hangar host a number of Open Days throughout the year – keep an eye on their website or facebook page for more details.